How do I find my Inspection? 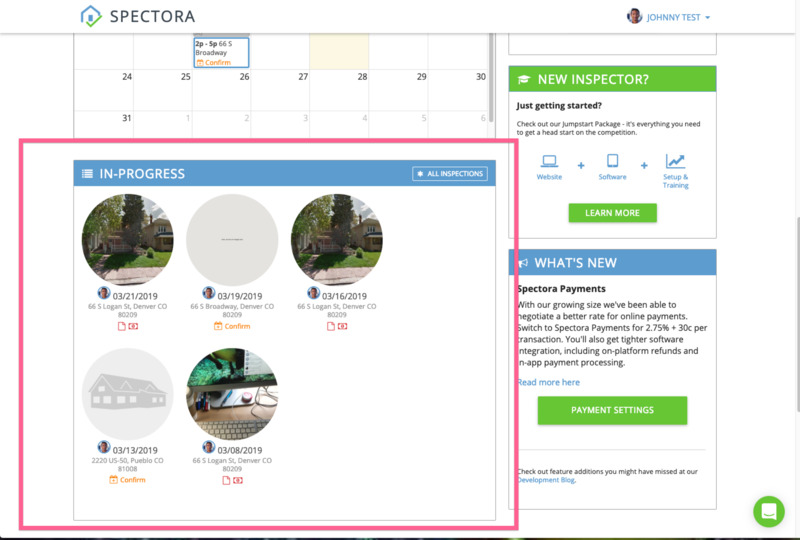 After an inspection has been scheduled, you can open and look at the inspection details page for that inspection in a few different places. 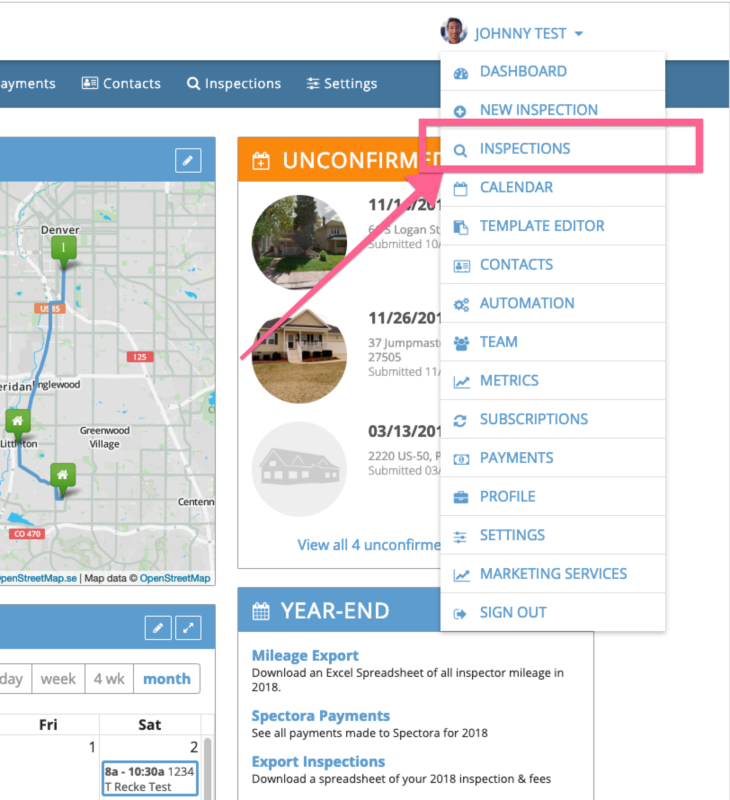 If the inspection is scheduled for today, you can find it on your Dashboard. 2. You can also locate it on your calendar. 3. Or you can use the drop down menu of your name to use the Inspection Tab and search for it there. 4. 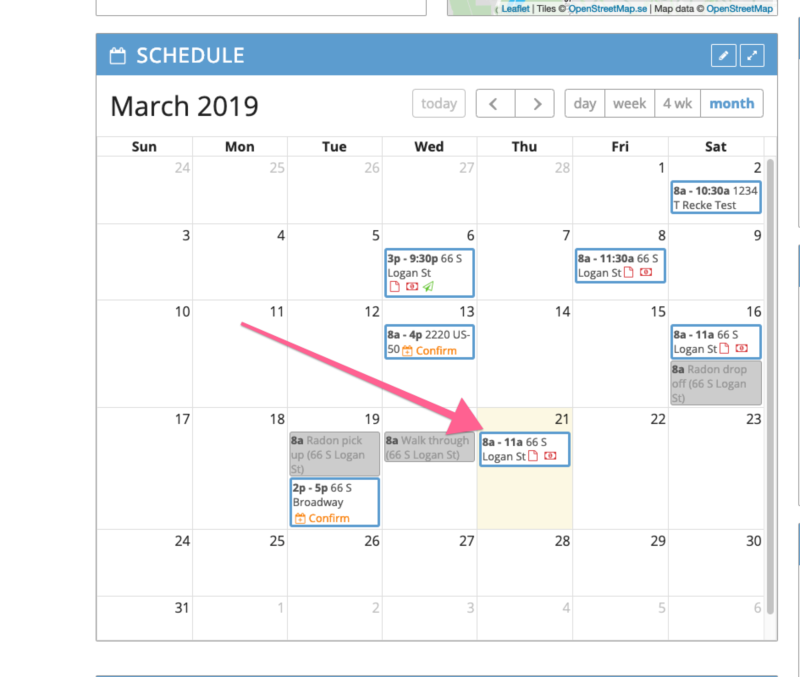 If you have started editing the inspection, you can also find it in the In-Progress area under the Calendar.